Due to the amounts of rainfall that the Anderson area has already gotten and with the future forecast, we feel that it is in the best interest of our racers and fans that we cancel the race event scheduled for Saturday, April 20th. With the condition that the track and in-field are already in and with more rain still coming, it will be impossible to get the facility cleaned and dried up in enough adequate time without keeping both the racers and fans there until late hours. We do not want to inconvenience our racing family with wet, cool and late hours on the eve of Easter Sunday. Again, we never want to cancel an event, because we are racers and we want to race anytime we can. But we feel that this decision is in the best interest for all of our racing families. We will re-schedule this event at a later date. We hope that each of you have a Happy Easter! Race Results from this past weekend's season opener are now posted. You can view the full results here. 4/6 HUDSON, NC - The 2019 season finally kicked off this past Saturday night at Tri-County Motor Speedway. There was several new faces around the garage area, and on track. Your past Champion Kenneth Headen returned to fight off the tough competition. As the staff and teams arrived in the foothills of North Carolina, the adrenaline kicked in. Fifteen of the best short track drivers showed up to knock each other off and out of the way. From a few new rookies Jack Galunke, Brett Suggs, and Clark Houston to the Veterans of the series. This race shaped up to be a barn burner. Ralph Carnes claimed the Renegade Race Fuel & Oils Pole Award, he went on to roll a five on the invert dice. 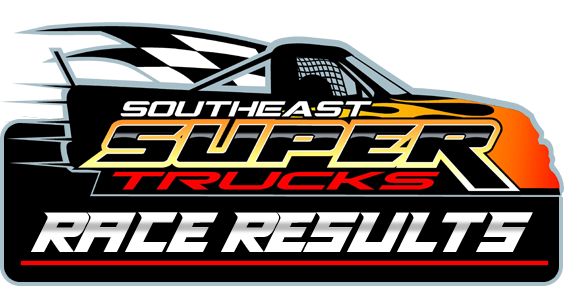 4/6 HUDSON, NC - The SEST Limited Late Models (formerly known as the Gripp Energy Limited Late Models) began their second year running with the Southeast Super Truck Series. The Season Opener at Tri-County Motor Speedway on March 30th. TCMS is a special place to several drivers as it their home track Josh Goble (who won the Late Model Track Championship there), Jason Cochran (who has several wins there from trucks, to limiteds and late models), Chris Phipps (who won one of the biggest Limited Late Model races ever at TCMS), Dan Moore who has always ran well there, and Mark Goin who has been racing there for several years there.